Cut a 11.5” x 4” piece out of the Orion Sheet. 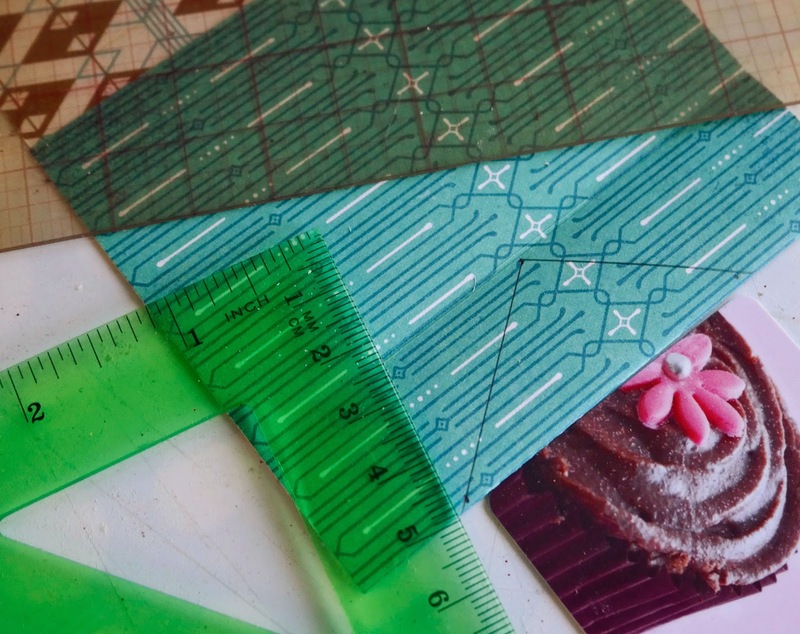 With a ruler or straight edge and a scoring knife, score lines widthwise, at 2.5”, 3.5”, 4.5” and 9”. 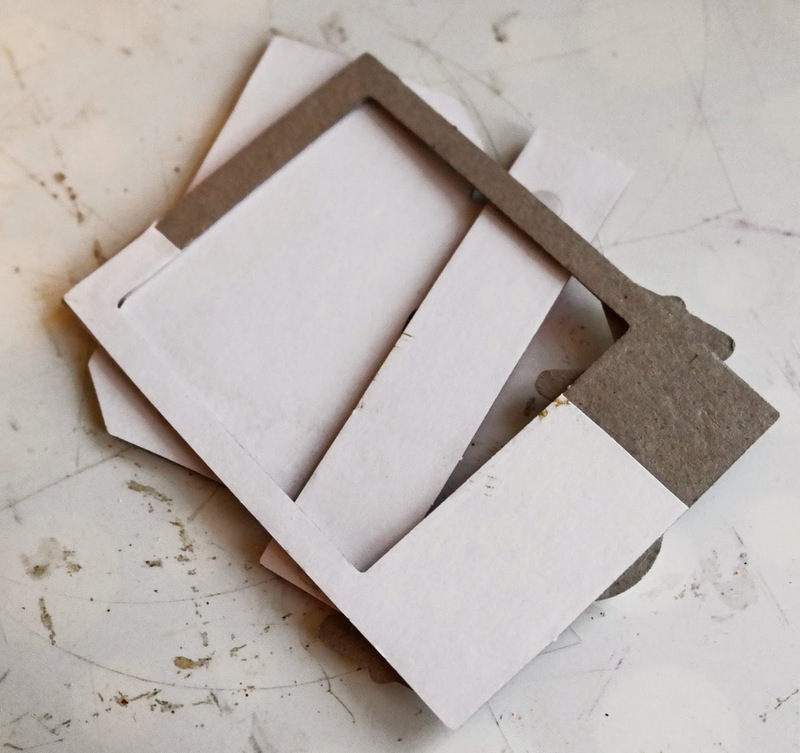 Fold the paper strip as pictured. 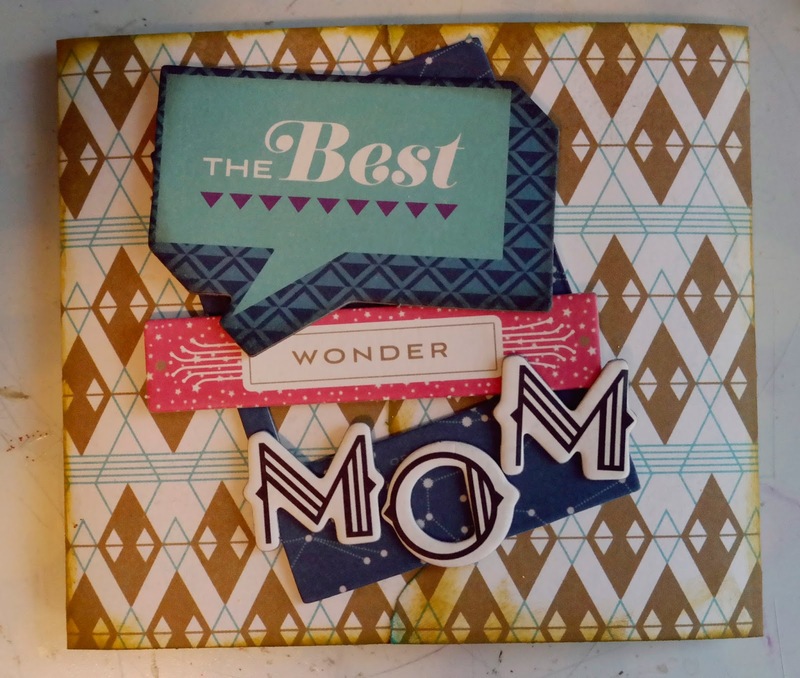 Choose a shape you would like for the gift card slot. I decided to go with a triangle. 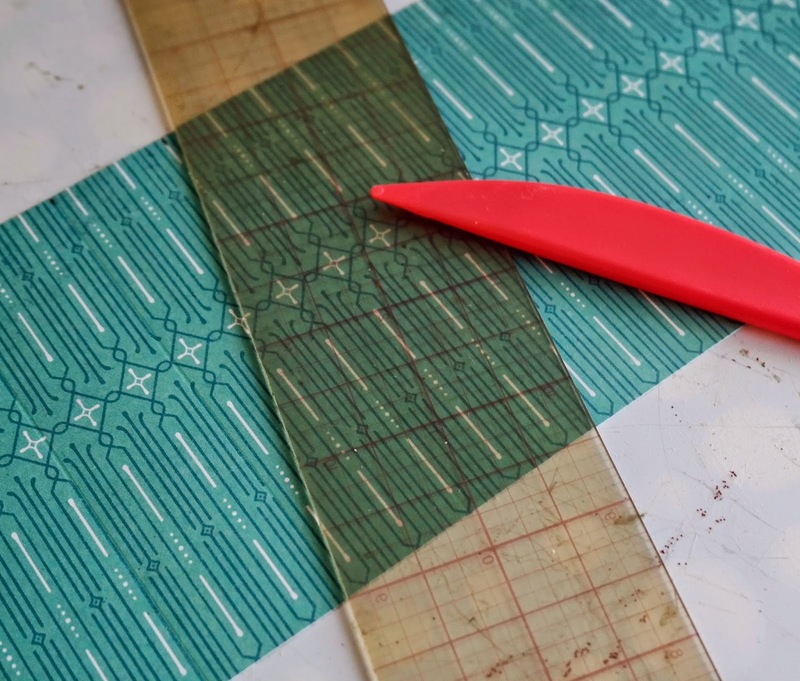 Trace the line you want to cut on the fold flap pointing up. With scissors, cut the shape. With a glue stick, glue the up flap closed. Make sure to keep the area where the gift card will be placed, un-glued. Make sure your gift card will fit, and then press until dry. 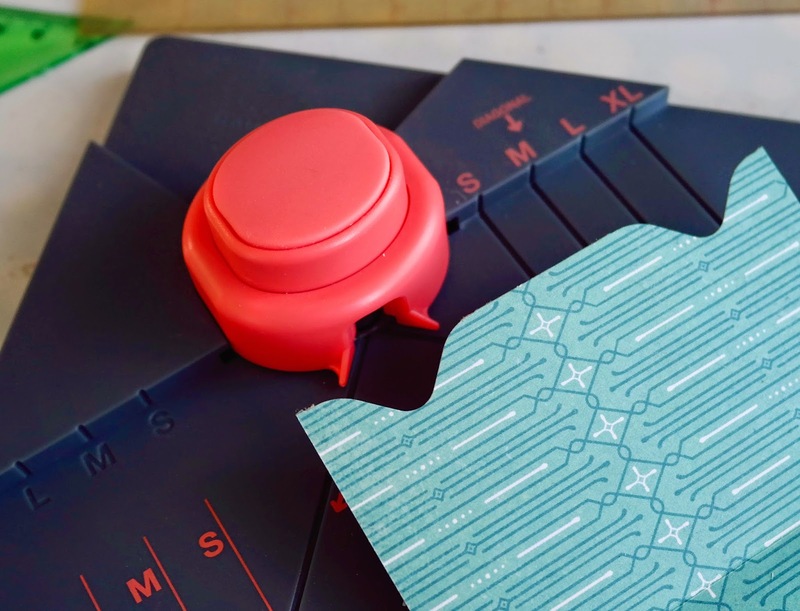 With your Gift Box Punch, cut notches in the right side end, .75” in from both ends. ft card will fit, and then press until dry. 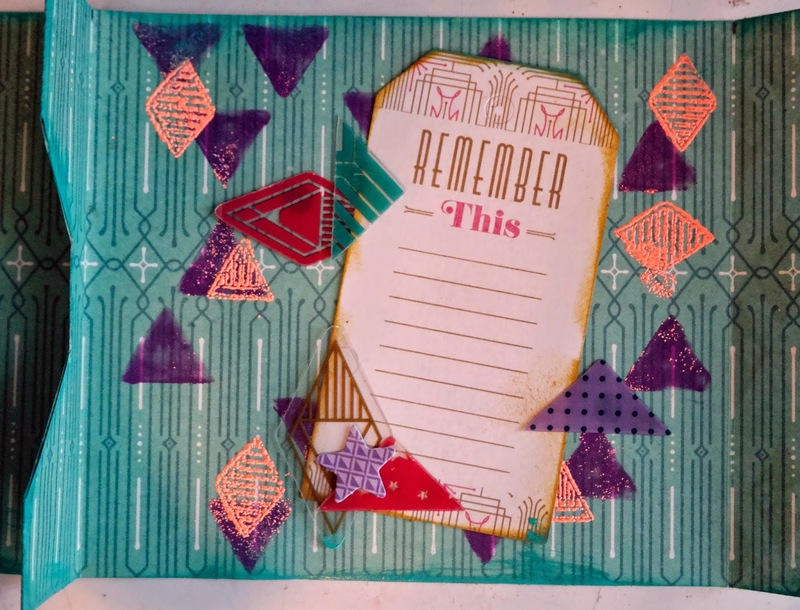 With your choice of stencil and ink color, use a cotton swab to ink some fun designs on the inside, focal point of the card. 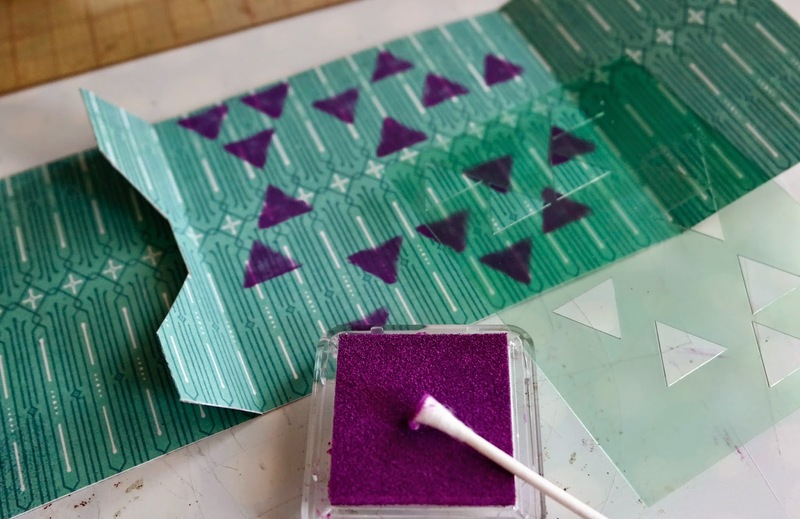 Grab some colorful embossing powder, embossing ink and the triangle and diamond shaped clear stamps from your bundle. 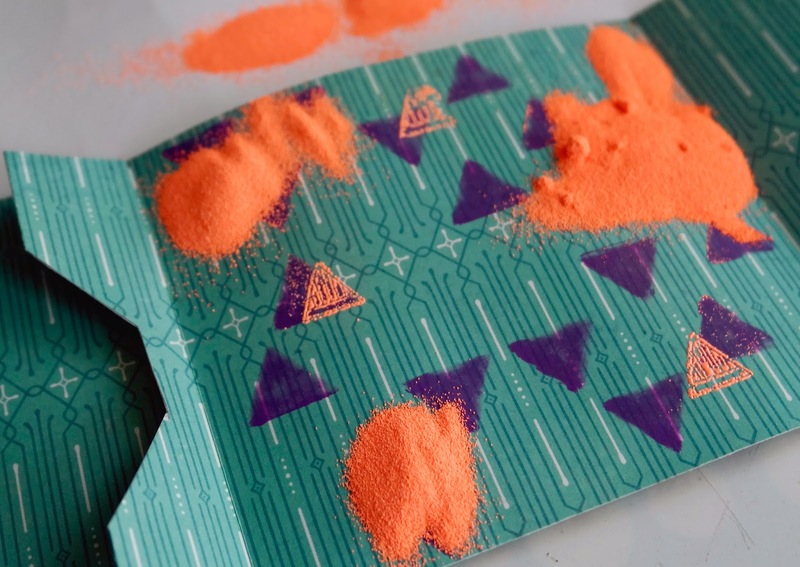 Place the stamps randomly, sprinkle embossing powder and seal with your heat gun. 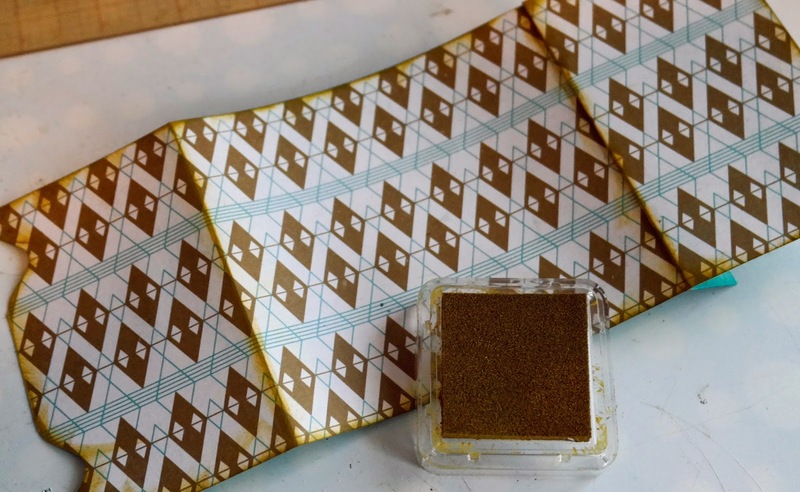 Find this Remember This die-cut and ink the edges with a gold ink pad. 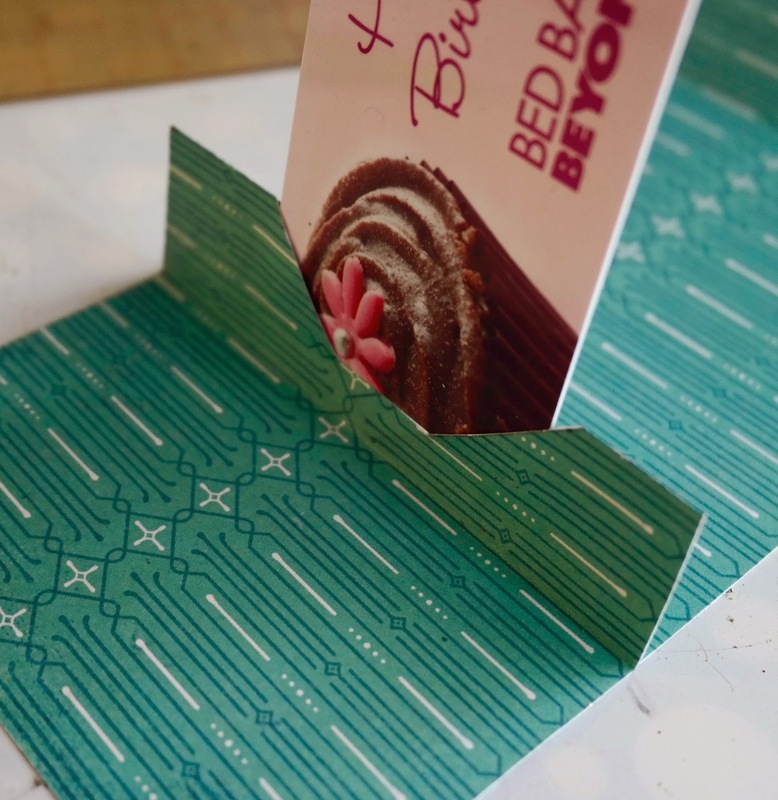 Secure the die cut tag to the inside of the card. 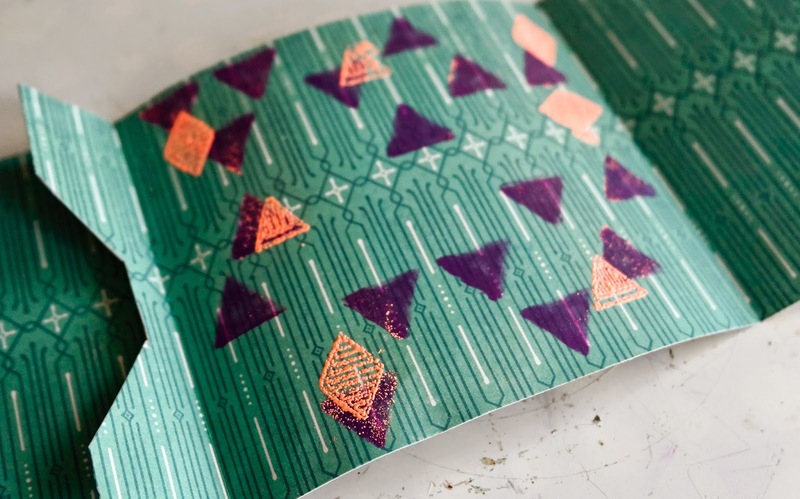 Choose some paper die cuts and transparencies and secure around the tag as you like. 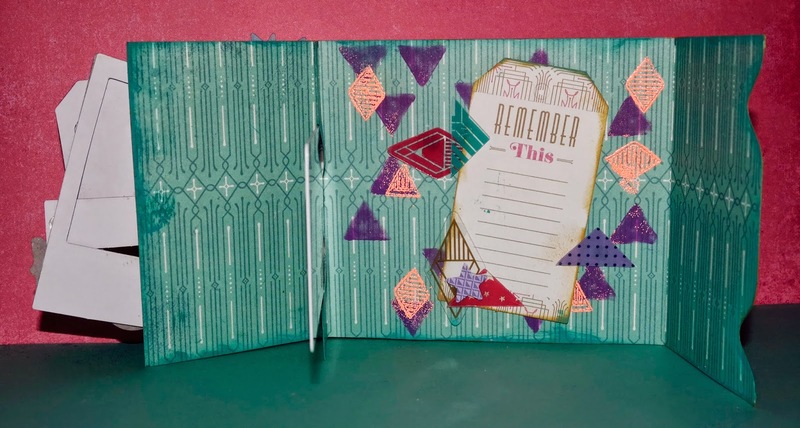 Ink all edges of the inside of the card with a matching ink pad. 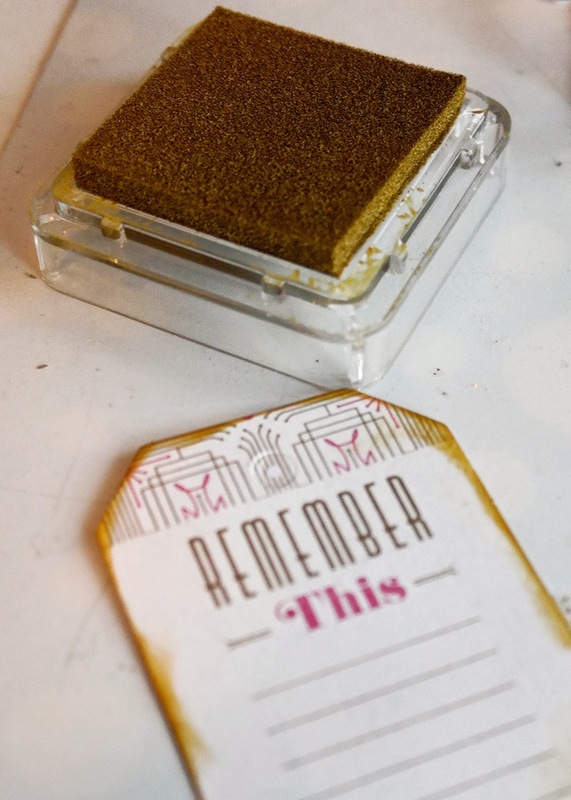 Ink all edges of the outside of the card with a matching ink pad. 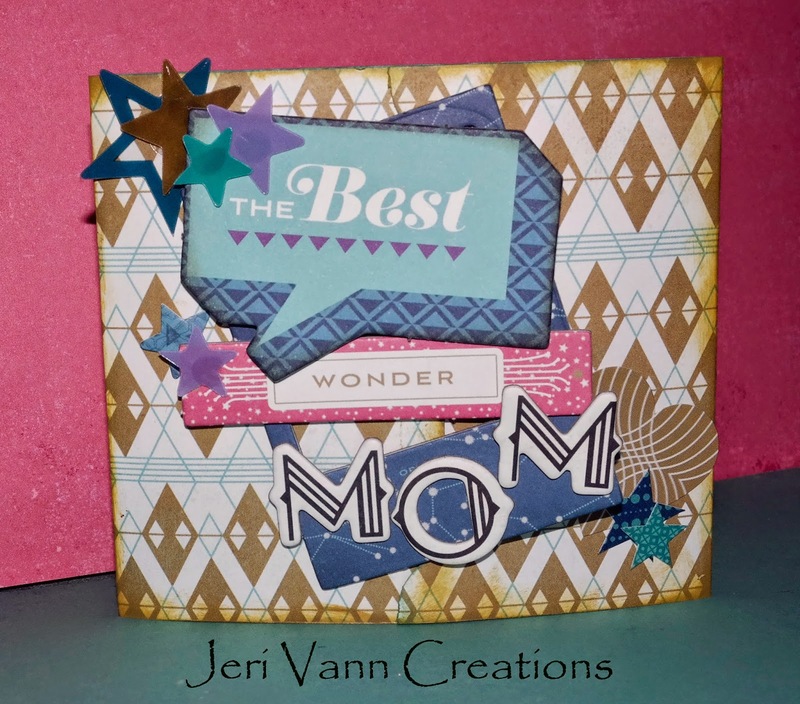 Find the pictured Chipboard Stickers, Chipboard Letters and Die Cut Stars. 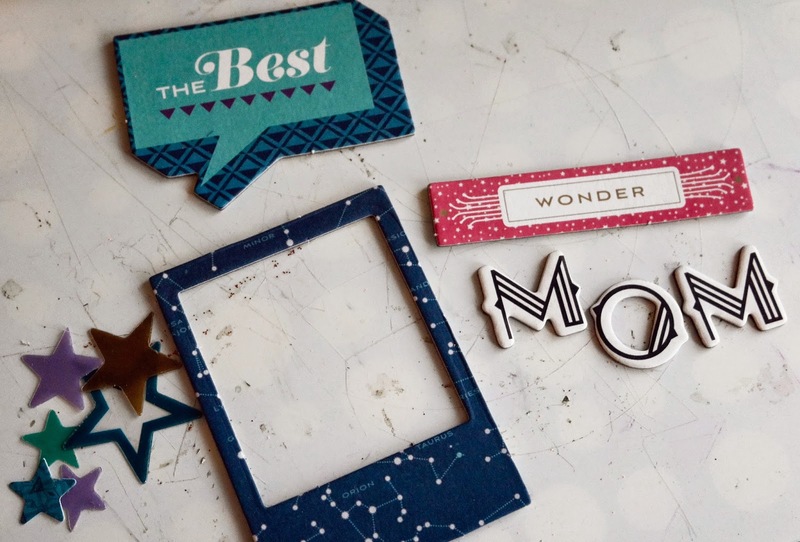 Layer up your chipboard on the Polaroid frame. Then cut off the backing as pictured. This will only be secured to the left side of the front flap, so you do not want to remove the entire backing of the sticker. 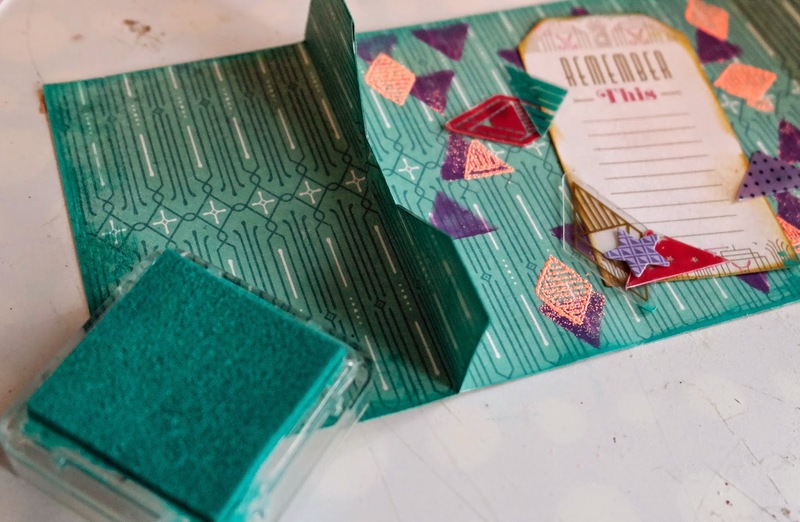 Secure your chipboard embellishments to the front (left flap) of the card. 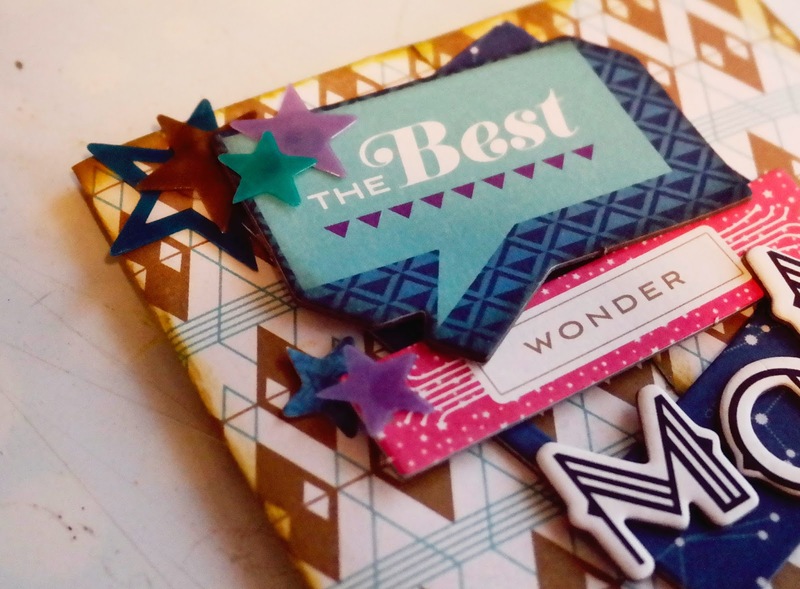 Layer on the die cut stars. Your card is now finished!